A team of neuroscientists at the University of Pennsylvania has constructed the first whole-brain map of electrical connectivity in the brain based on data from nearly 300 neurosurgical patients with electrodes implanted directly on the brain. The researchers found that low-frequency rhythms of brain activity, when brain waves move up and down slowly, primarily drive communication between the frontal, temporal and medial temporal lobes, key brain regions that engage during memory processing. The research, part of the Restoring Active Memory project, was conducted by Michael Kahana, Penn professor of psychology and principal investigator of the Defense Advanced Research Projects Agency’s RAM program; Ethan Solomon, an M.D./Ph.D. student in the Department of Bioengineering; and Daniel Rizzuto, director of cognitive neuromodulation at Penn. They published their findings in Nature Communications. This work elucidates the way different regions of the brain communicate during cognitive processes like memory formation. Though many studies have examined brain networks using non-invasive tools like functional MRI, observations of large-scale networks using direct human-brain recordings have been difficult to secure because these data can only come from neurosurgical patients. For several years, the Penn team gathered this information from multiple hospitals across the country, allowing the researchers to observe such electrical networks for the first time. Patients undergoing clinical monitoring for seizures performed a free-recall memory task that asked them to view a series of words on a screen, then repeat back as many as they could remember. At the same time, the researchers examined brain activity occurring on slow and fast time scales, also called low- and high-frequency neural activity. They discovered that when a person is effectively creating new memories — in this case, remembering one of the presented words — alignment between brain regions tends to strengthen with slow waves of activity but weaken at higher frequencies. Areas of the brain identified in this paper — the frontal, temporal and medial temporal lobes — have long intrigued neuroscientists because of their crucial role in such memory functions. This work supports the RAM project goal of using brain stimulation to enhance memory. Earlier this month, the RAM team publicly released its extensive intracranial brain recording and stimulation dataset that included thousands of hours of data from 250 patients performing memory tasks. Previous research showed for the first time that electrical stimulation delivered when memory was predicted to fail could improve memory function in the human brain. That same stimulation generally became disruptive when electrical pulses arrived during periods of effective memory function. 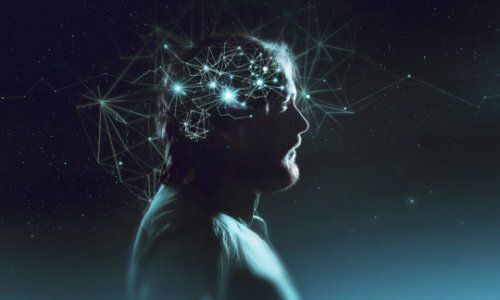 Next, the Penn researchers plan to examine the interaction between brain stimulation and the functional connections the latest study uncovered. Differences in intelligence have so far mostly been attributed to differences in specific brain regions. However, are smart people’s brains also wired differently to those of less intelligent persons? A new study supports this assumption. In intelligent persons, certain brain regions are more strongly involved in the flow of information between brain regions, while other brain regions are less engaged. Understanding the foundations of human thought is fascinating for scientists and laypersons alike. Differences in cognitive abilities — and the resulting differences for example in academic success and professional careers — are attributed to a considerable degree to individual differences in intelligence. A study just published in Scientific Reports shows that these differences go hand in hand with differences in the patterns of integration among functional modules of the brain. Kirsten Hilger, Christian Fiebach and Ulrike Basten from the Department of Psychology at Goethe University Frankfurt combined functional MRI brain scans from over 300 persons with modern graph theoretical network analysis methods to investigate the neurobiological basis of human intelligence. Already in 2015, the same research group published a meta-study in the journal Intelligence, in which they identified brain regions — among them the prefrontal cortex — activation changes of which are reliably associated with individual differences in intelligence. Until recently, however, it was not possible to examine how such ‘intelligence regions’ in the human brain are functionally interconnected. If you are wondering how your brain functions and how you can look after it, you should look at nootropicsblog.com for more information. Earlier this year, the research team reported that in more intelligent persons two brain regions involved in the cognitive processing of task-relevant information (i.e., the anterior insula and the anterior cingulate cortex) are connected more efficiently to the rest of the brain (2017, Intelligence). Another brain region, the junction area between temporal and parietal cortex that has been related to the shielding of thoughts against irrelevant information, is less strongly connected to the rest of the brain network. “The different topological embedding of these regions into the brain network could make it easier for smarter persons to differentiate between important and irrelevant information — which would be advantageous for many cognitive challenges,” proposes Ulrike Basten, the study’s principle investigator. Scientists have used magnetism to activate tiny groups of cells in the brain, inducing bodily movements that include running, rotating and losing control of the extremities — an achievement that could lead to advances in studying and treating neurological disease. The technique researchers developed is called magneto-thermal stimulation. It gives neuroscientists a powerful new tool: a remote, minimally invasive way to trigger activity deep inside the brain, turning specific cells on and off to study how these changes affect physiology. Understanding how the brain works — how different parts of the organ communicate with one another and control behavior — is key to developing therapies for diseases that involve the injury or malfunction of specific sets of neurons. Traumatic brain injuries, Parkinson’s disease, dystonia and peripheral paralysis all fall into this category. The advances reported by Pralle’s team could also aid scientists seeking to treat ailments such as depression and epilepsy directly through brain stimulation. The study, which was done on mice, was published Aug. 15 in eLife, an open-source, peer-review journal. Pralle’s team included first authors Rahul Munshi, a UB PhD candidate in physics, and Shahnaz Qadri, PhD, a UB postdoctoral researcher, along with researchers from UB, Philipps University of Marburg in Germany and the Universidad de Santiago de Compostela in Spain. Magneto-thermal stimulation involves using magnetic nanoparticles to stimulate neurons outfitted with temperature-sensitive ion channels. The brain cells fire when the nanoparticles are heated by an external magnetic field, causing the channels to open. In mice, Pralle’s team succeeded in activating three distinct regions of the brain to induce specific motor functions. Stimulating cells in the motor cortex caused the animals to run, while stimulating cells in the striatum caused the animals to turn around. When the scientists activated a deeper region of the brain, the mice froze, unable to move their extremities. “Using our method, we can target a very small group of cells, an area about 100 micrometers across, which is about the width of a human hair,” Pralle says. Magneto-thermal stimulation enables researchers to use heated, magnetic nanoparticles to activate individual neurons inside the brain. Here’s how it works: First, scientists use genetic engineering to introduce a special strand of DNA into targeted neurons, causing these cells to produce a heat-activated ion channel. Then, researchers inject specially crafted magnetic nanoparticles into the same area of the brain. These nanoparticles latch onto the surface of the targeted neurons, forming a thin covering like the skin of an onion. When an alternating magnetic field is applied to the brain, it causes the nanoparticles’ magnetization to flip rapidly, generating heat that warms the targeted cells. This forces the temperature-sensitive ion channels to open, spurring the neurons to fire. The particles the researchers used in the new eLife study consisted of a cobalt-ferrite core surrounded by a manganese-ferrite shell. Pralle has been working to advance magneto-thermal stimulation for about a decade. He previously demonstrated the technique’s utility in activating neurons in a petri dish, and then in controlling the behavior of C. elegans, a tiny nematode. Pralle says magneto-thermal stimulation has some benefits over other methods of deep-brain stimulation. One of the best-known techniques, optogenetics, uses light instead of magnetism and heat to activate cells. But optogenetics typically requires implantation of tiny fiber optic cables in the brain, whereas magneto-thermal stimulation is done remotely, which is less invasive, Pralle says. He adds that even after the brains of mice were stimulated several times, targeted neurons showed no signs of damage. 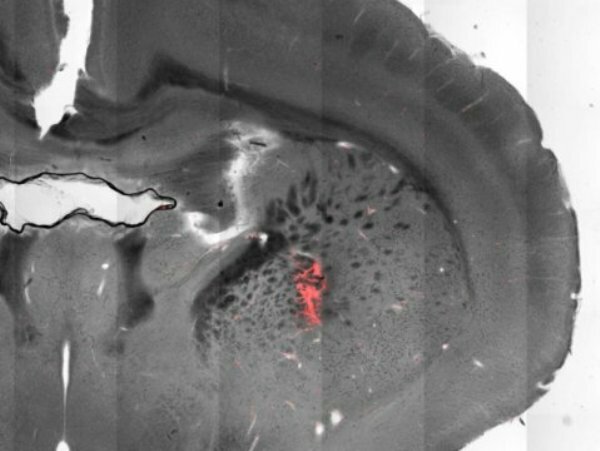 The next step in the research is to use magneto-thermal stimulation to activate — and silence — multiple regions of the brain at the same time in mice. Pralle is working on this project with Massachusetts Institute of Technology researcher Polina Anikeeva, PhD, and Harvard Medical School. The team has $3.5 million in funding from the National Institutes of Health to conduct continuing studies. The research published in eLife was funded by the National Institute of Mental Health and the Human Frontier Science Program. 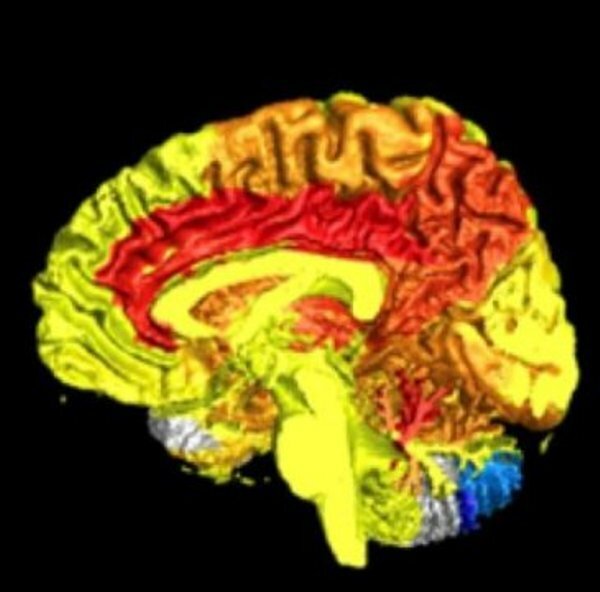 Scientists at The University of Texas at Austin can now map what happens neurologically when new information influences a person to change his or her mind, a finding that offers more insight into the mechanics of learning. The study, which was published Nov. 1 in the Proceedings of the National Academy of Sciences, examined how dynamic shifts in a person’s knowledge are updated in the brain and impact decision making. The process, researchers said, involves two components of the brain working together to update and “bias” conceptual knowledge with new information to form new ideas. “How we reconcile that new information with our prior knowledge is the essence of learning. And, understanding how that process happens in the brain is the key to solving the puzzle of why learning sometimes fails and how to put learning back on track,” said the study’s lead author Michael Mack, who was a postdoctoral researcher in the Center for Learning & Memory. In the study, researchers monitored neural activity while participants learned to classify a group of images in two different ways. First participants had to learn how to conceptualize the group of images, or determine how the images were similar to each other based on similar features. Once they grouped the images, participants were then asked to switch their attention to other features within the images and group them based on these similarities instead. “By holding the stimuli constant and varying which features should be attended to across tasks, the features that were once relevant become irrelevant, and the items that were once conceptually similar may become very different,” said Preston, who holds a joint faculty appointment in neuroscience. For example, the researchers report that many Americans may have chosen their preferred presidential candidate many months ago based on political platforms or core issues. But as the election cycle continued, voters were presented with new information, influencing some to change their perspectives on the candidates and, potentially, their votes. 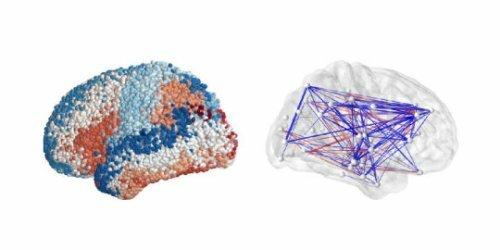 This requires rapid updating of conceptual representations, a process that occurs in the hippocampi (HPC) — two seahorse-shaped areas near the center of the brain responsible for recording experiences, or episodic memory — researchers said. It’s also one of the first areas to suffer damage in Alzheimer’s disease. 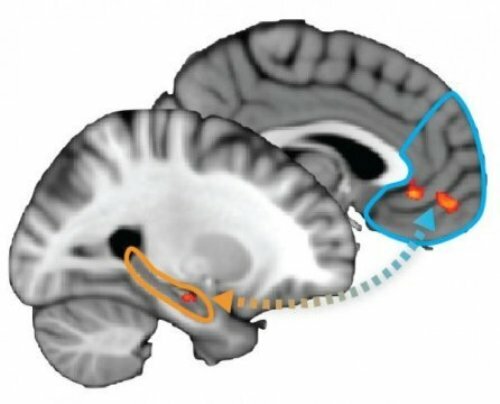 According to the study, the prefrontal cortex (PFC) — the front part of the brain that orchestrates thoughts and actions — tunes selective attention to relevant features and compares that information with the existing conceptual knowledge in the HPC, updating the organization of items based on the new relevant features, researchers said. These findings add to the growing, though limited, body of literature on the function of the HPC beyond episodic memory by providing direct evidence of its role, in concert with the PFC, in building conceptual knowledge. “With an understanding of the mechanics of learning, we can develop educational practices and training protocols that optimally engage the brain’s learning circuits to build lasting knowledge,” Mack said. DNA, our genetic material, normally has the structure of a twisted rope ladder. Experts call this structure a double helix. Among other things, it is stabilized by stacking forces between base pairs. Scientists at the Technical University of Munich (TUM) have succeeded at measuring these forces for the very first time on the level of single base pairs. This new knowledge could help to construct precise molecular machines out of DNA. Over 60 years ago, the researchers Crick and Watson identified the structure of deoxyribonucleic acid, which is more commonly known as DNA. They compared the double helix to a rope ladder that had been twisted into a spiral. The rungs of this ladder consisted of guanine/cytosine and thymine/adenine base pairs. But what keeps the DNA strands in that spiral structure? Prof. Hendrik Dietz from the Chair of Experimental Biophysics uses DNA as construction material to create molecular structures. Hence, he is greatly interested in gaining a better understanding of this material. “There are two types of interactions which stabilize double helices,” he explains. For one, DNA contains hydrogen bonds. For another, there are what experts call base pair stacking forces, which act between the stacked base pairs along the spiral axis. The forces of the hydrogen bonds, on the other hand, act perpendicular to the axis. “So far, it is not quite clear to which extent these two forces each contribute to the overall stability of the DNA double helix,” explains Dietz. Directly measuring the weak stacking forces between base pairs was a big technical challenge for the researchers, who worked on the problem for six years. In collaboration with the TUM Chair of Molecular Biophysics (Prof. Matthias Rief) and the TUM Chair of Theoretical Biophysics — Biomolecular Dynamics (Prof. Martin Zacharias), they succeeded in developing a special experimental setup that now makes it possible to measure extremely weak contact interactions between individual molecules. To put it simply, the measurement system is designed hierarchically and involves microscopic beams, at the tips of which one or more double helix structures running in parallel are located. These have been modified such that each end carries one base pair. Two of these microscopic beams are connected with a flexible polymer. On the other side, the beams are coupled to microscopic spheres which can be pulled apart using optical laser tweezers. In solution, the base pairs on the end of one of the beam can now interact with the base pairs on the end of the other beam. This also makes it possible to measure how long a stacking bond between them lasts before they fall apart again, as well as the force acting between the base pairs. The forces measured by the researchers were in the range of piconewtons. “A newton is the weight of a bar of chocolate,” explains Dietz. “What we have here is a thousandth of a billionth of that, which is practically nothing.” Forces in the range of two piconewtons are sufficient to separate the bond created by stacking forces. Furthermore, the scientists also observed that the bonds spontaneously broke up and formed again within just a few milliseconds. The strength and the lifetime of the interactions depends to a great extent on which base pairs are stacked on each other. The results of the measurements may help to better understand mechanical aspects of fundamental biological processes such as DNA replication, i.e. the reproduction of genetic material. For example, the short life of the stacking interactions could mean that an enzyme tasked with separating the base pairs during this process just needs to wait for the stacking bonds break up on their own — instead of having to apply force to separate them. At the moment, the lab is building a molecular rotational motor out of DNA, the components of which interlock and are held together via stacking forces. The goal is to be able to control a directed rotation via chemical or thermal stimuli. To do so, the timing of the movement of the rotor in the stator is crucial, and this task has now been made significantly easier with the new findings on the stacking forces. When asked to visualize your childhood home, you can probably picture not only the house you lived in, but also the buildings next door and across the street. MIT neuroscientists have now identified two brain regions that are involved in creating these panoramic memories. These brain regions help us to merge fleeting views of our surroundings into a seamless, 360-degree panorama, the researchers say. Robertson is the lead author of the study, which appears in the Sept. 8 issue of the journal Current Biology. Nancy Kanwisher, the Walter A. Rosenblith Professor of Brain and Cognitive Sciences and a member of the McGovern Institute, is the paper’s lead author. As we look at a scene, visual information flows from our retinas into the brain, which has regions that are responsible for processing different elements of what we see, such as faces or objects. The MIT team suspected that areas involved in processing scenes — the occipital place area (OPA), the retrosplenial complex (RSC), and parahippocampal place area (PPA) — might also be involved in generating panoramic memories of a place such as a street corner. If this were true, when you saw two images of houses that you knew were across the street from each other, they would evoke similar patterns of activity in these specialized brain regions. Two houses from different streets would not induce similar patterns. “Our hypothesis was that as we begin to build memory of the environment around us, there would be certain regions of the brain where the representation of a single image would start to overlap with representations of other views from the same scene,” Robertson says. The researchers explored this hypothesis using immersive virtual reality headsets, which allowed them to show people many different panoramic scenes. In this study, the researchers showed participants images from 40 street corners in Boston’s Beacon Hill neighborhood. The images were presented in two ways: Half the time, participants saw a 100-degree stretch of a 360-degree scene, but the other half of the time, they saw two noncontinuous stretches of a 360-degree scene. After showing participants these panoramic environments, the researchers then showed them 40 pairs of images and asked if they came from the same street corner. Participants were much better able to determine if pairs came from the same corner if they had seen the two scenes linked in the 100-degree image than if they had seen them unlinked. Brain scans revealed that when participants saw two images that they knew were linked, the response patterns in the RSC and OPA regions were similar. However, this was not the case for image pairs that the participants had not seen as linked. This suggests that the RSC and OPA, but not the PPA, are involved in building panoramic memories of our surroundings, the researchers say. In another experiment, the researchers tested whether one image could “prime” the brain to recall an image from the same panoramic scene. To do this, they showed participants a scene and asked them whether it had been on their left or right when they first saw it. Before that, they showed them either another image from the same street corner or an unrelated image. Participants performed much better when primed with the related image.